Dome midranges offer outstanding performance. 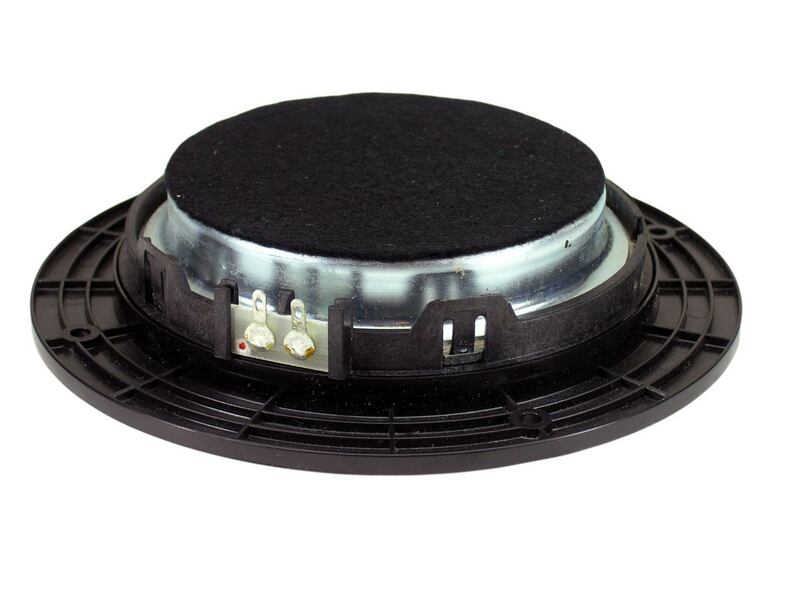 The advantages of dome midranges include lower moving mass and superior off-axis frequency response. Hear all of the detail you have been missing! With my Infinity Kappa 7 speakers still having excellent sound, the affordable replacement of my one damaged Polydome speaker has restored them to their original sound quality. I studied to find the best solution for my kappa 8 speakers . I had refoamed the bass speakers 4 years earlier and I considered reconing and this meant shipping the speakers to a speakertechnicean who can do this . Then I found these speakers for sale that are brandnew. It was very easy to replace the old suckers and used a small nail and hammer to screw the 4 original screws in place . The sound is superb and I hear that the new midrange speakers are doing a great soundjob , probably somewhat better than the originals . I recently bould sewell thick speakerwire and additionally get improvement over the old monster wire I was using . Friends are impressed with the sound of the speakers . My amplifier is a Yamaha DSP-A1 . I recommend those new domespeakers to anyone and don't forget to spend some extra on thicker speakerwire . Enjoy ! These speakers were shipped very quickly. They are exact replacements in size and sound quality of the original speakers. Replacement was a snap, mounting holes aligned perfectly and resoldering for proper phase was very easy. Very pleased with these speakers and quick service from your company. Thank You! I’ve owned my Infinity Kappa 82 for 26 years and can’t imagine owning something else. 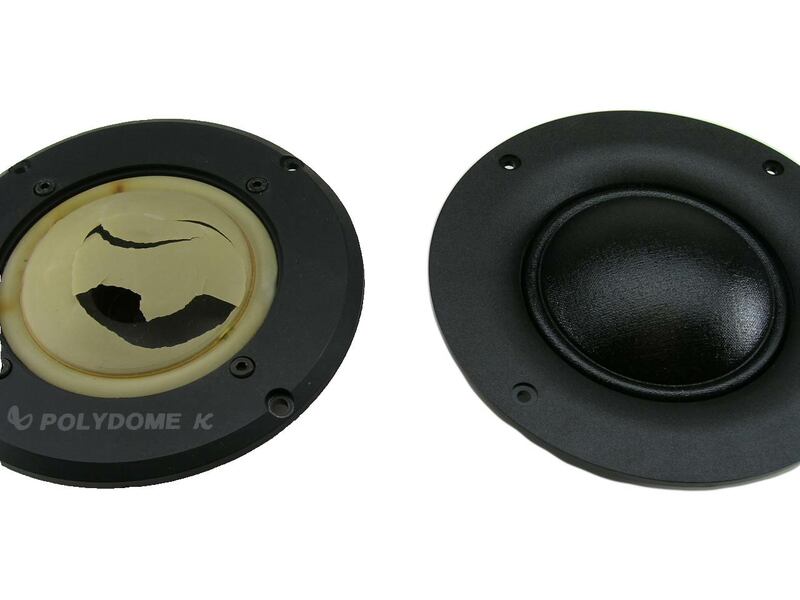 My midrange Kappa Polydome speakers finally succumbed to time and multiple shipments. I wasted devastated until I found these replacements. 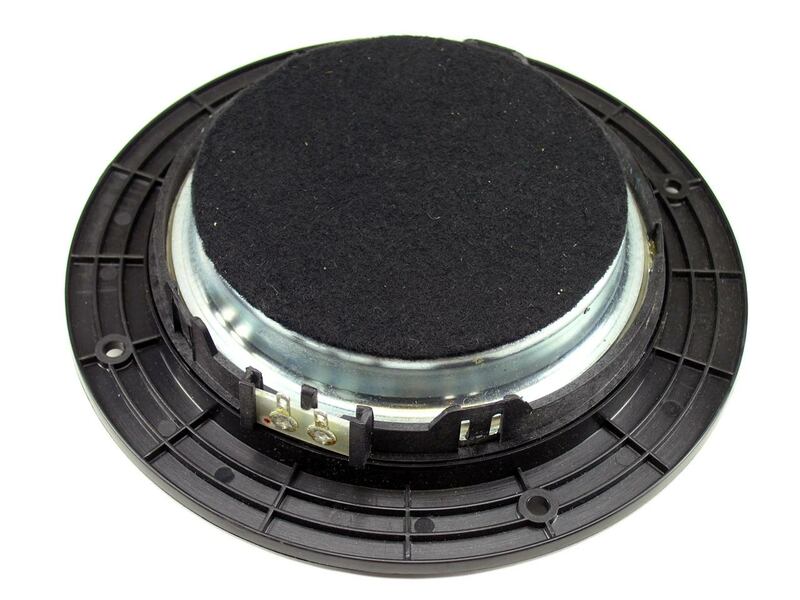 I soldered them in and and completed my speaker restoration by replacing my woofer foam surrounds, dust cover replacements and the my midrange speaker replacements. My speakers sound as good as when I bought them in Okinawa in 1993. Great replacement for Infinity Kappa 8s! Sound is awesome. Very good construction. 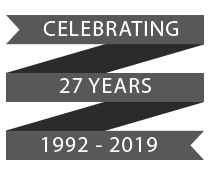 My only criticism is that the terminal connections were on opposite sides (way too close to each other) as per the original design and more clearly marked positive/negative. But like I said, they sound really really GOOD! Q: I am trying to find replcements for my midrange polydomes infinity kappa 7. The description says these fit kappa 7.1 and 7.2 (which are different) and 6,8,9. Does it also fit the Infinity kappa 7? A: Yes! These also fit the Kappa 7 series Polydome midranges. A: It is always best to replace these in pairs as they are not exactly like the original Polydomes. The sensitivity rating from Infinity is for your entire cabinet, and the midrange drivers are higher on their own, but the crossover pads them back accordingly so there are no issues using them with the other original components. Q: Hi, do you ship to italy ? How much does it cost ship two of these items ? Thanks. A: Yes. 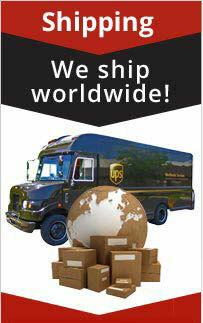 Our website will show you the correct International shipping costs when you add the items to the cart. Thanks! Q: Are these drop ins that need no modification to install? Is the frequency response close to the infinity midranges? A: Please see our online video for this model and its installation. No modification needed. Response as good or better than original Infinity Poly Dome. 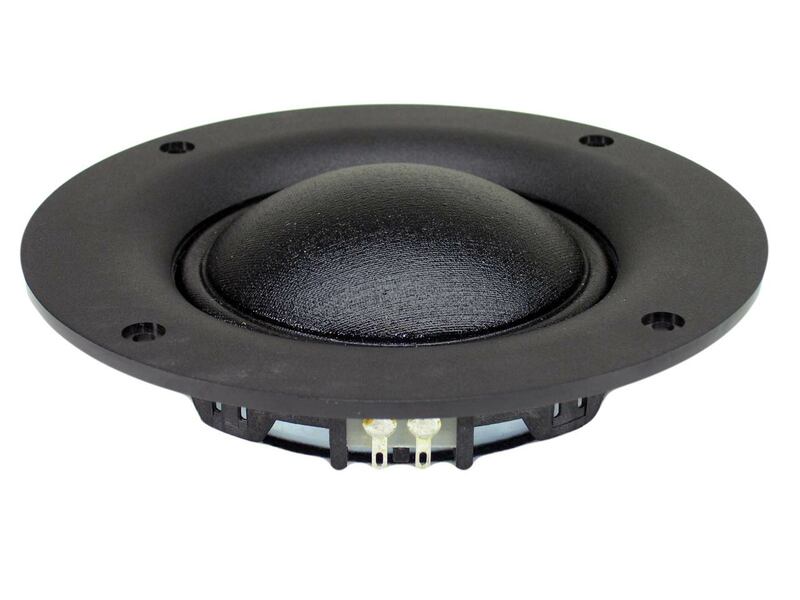 Q: Hi, 2 question please: Is 6" Dome Midrange, Infinity 3" Fabric Dome, 6 Ohms, M-330 suitable for my Infinity RS 7 K? I have to modify the holes? To substitute polydome midrenge I have to weld the cables? Thanks. A: Yes, this replacement midrange fits the Kappa 7. No modifying of the mounting holes is required. You will need to solder the new unit, or use new crimp on connectors to install it. 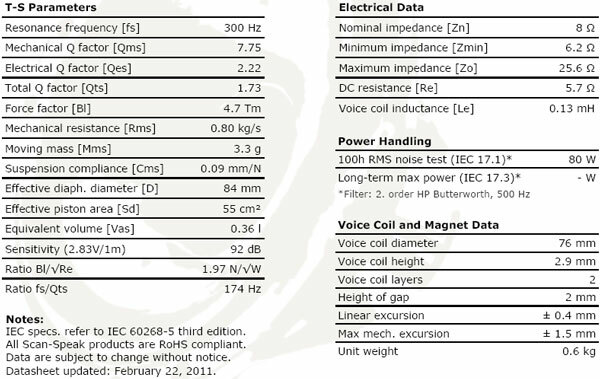 A: These are rated 80 watts RMS, 140 watts peak. Full specs are listed on the product page. Q: Does this midrange dome have a sealed back? A: No, this unit has a semi open back design and needs to operated in a sub chamber. Q: Good day, Can you please advise what the overall dimension (in mm) and the mounting holes PCD (in mm) are? Thanks. A: The mounting holes are 133mm center to center, and the overall diamter is 152mm. A: Yes, our M-330 units are the complete upper midrange replacements for the Polydome midranges found in the Kappa 8 and others. Q: As far as I know 902-3075 Kappa 9 midrages are 4 ohms. How come yours come as 6 ohms? A: Please see full specs from website: Impedance: 8 ohms, Re: 5.7 ohms (compatible with 4 or 8 ohm systems) No crossover modifications are needed. Infinity: 902-3075, 902-5793, 302794-001, Kappa Polydome, 3" Polydome K for Infinity, Poly-Dome, Kappa 6, Kappa 7, Kappa 6.1, Kappa 7.1, Kappa 7.2, Kappa 8, and Kappa 9 models.